On Season 5 of HBO’s True Blood, actor Giles Matthey plays Claude, a mysterious fairy who has caught the eye of vamp Jessica (Deborah Ann Woll). Distantly related to Sookie (Anna Paquin), he will be mentoring her in the ways of all things fairy, later on in the season. 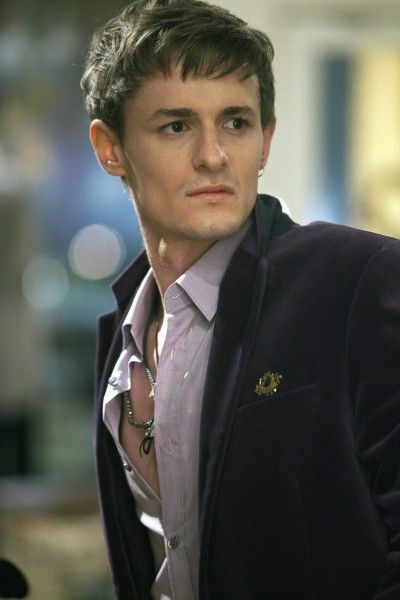 During this recent exclusive phone interview with Collider, Giles Matthey talked about his crazy audition for the hit TV show and how he had no idea what role he was actually auditioning for, how he caught up on the previous four seasons and became an obsessive fan himself once he was cast, that he loves meeting fans of the show that are as excited about it as he is, how he sees Claude as loyal and protective, and how much fun his introduction into the story was. He also talked about what attracts him to a specific project and what inspired him to try his hand at acting, in the first place. Check out what he had to say after the jump. 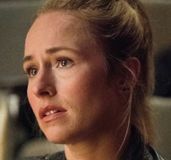 Collider: How did you come to be a part of the show this season? 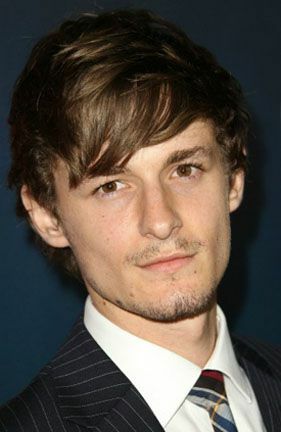 GILES MATTHEY: I had just gone to the Globes with my girlfriend, which I was lucky enough to be invited to by her. I was on my way back to New York when my agent said, “Please try to get to this audition.” So, I went to the audition and I knew of the show before I went to the audition, but I had no idea who anyone was, which was probably a really good thing. I probably would have been slightly more nervous, had I known the creator of True Blood and the writer of American Beauty (Alan Ball) was staring down at me. That added to an advantage for me, and I felt quite relaxed. It was obviously a little bit bigger than usual because there were more people in the room. I had my bags packed and ready to go to the airport, and I had about 15 layers on because I couldn’t fit anything else into my bag, with these massive snow boots that were given to me. I was going to New York and it was really cold in January, so I just put them on. I don’t know what they must have seen in front of them. It probably looked like I was high on something because I was relaxed but sweating, and I looked so ridiculous. And all the other actors looked so sharp and pristine. I thought, “Oh, god, this isn’t going well already. I look like an absolute freak! This is going to be fantastic! I’ll just do the audition, and then go to the airport.” So, that’s what I did. And then, my agent called me and said, “You can’t get on that plane. You got the role. You’re in wardrobe tomorrow, and you’re shooting the next day.” It was a huge, huge moment for me, and a real honor that they liked me and cast me. Since this is a show that is very secretive, did they tell you anything about the character? MATTHEY: No, it was absolutely secretive. I had no idea who this person was, which actually makes it quite hard when you try to audition. But what you try to do, as an actor, is just make it work somehow. The sides were sensitive and the character name was sensitive, and rightly so because otherwise it will just give away stuff to fans and ruin it for the audience, before they’ve even seen it, so I understand it. So, they were very secretive. I didn’t know what the character’s name was. I didn’t know what part he really was playing [in the story]. I just saw dialogue, in the audition, and had no backstory. 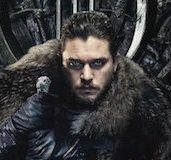 I was like, “I’m just going to be myself because I have no idea who this is or where he’s coming from.” The typical questions that actors have to ask themselves were very hard. I had to imagine, a little bit, and just made it work. Did you decide to catch up on previous episodes, once you’d been cast? MATTHEY: Yes! I was a bit of a freak like that. And then, I turned into a really big fan. It’s gotten to the point now where it’s so lame to say this, but I feel really proud whenever I see any posters. I just have this feeling of pride. When I see Anna Paquin’s poster, I’m like, “Yes, Anna, there you are and good for you!” It’s pretty lame, but I’ve now turned into such a fan. But also, I obviously have a personal connection with a lot of these people, so the pride comes from a personal sense of friendship as well. So, yes, I caught up a lot. I caught up on all four seasons. There were times when I would only focus on the fairies and what they were like, how they were portrayed, what they were doing, and the actions that they performed on the show, just to get a feel of them. I first started with only watching the fairy stuff, for research. And then, I started realizing, “Hang on, this is quite a good show. Let’s just go back to Season 1, Episode 1.” From then on, I just went from one episode to another. The popcorn came out and a soda, and then it was game over, really. It got its hooks in me. It really did. 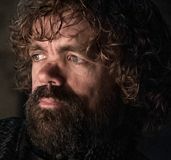 By the time you had finished watching the episodes, did you have any favorite characters that you were hoping you’d get a scene with? MATTHEY: Of course! They’re insanely talented. For a relative newcomer, it’s obviously a dream to work with such a talented actress as Anna Paquin, who won an Oscar at 10, or something ridiculous like that. That’s a dream. And Ryan Kwanten’s character on the show just makes me laugh so much. I was really excited to work with them. But, they are all phenomenal, in their own way. I love Lafayette (Nelsan Ellis). I love Russell Edgington (Denis O’Hare). I love Hoyt (Jim Parrack). 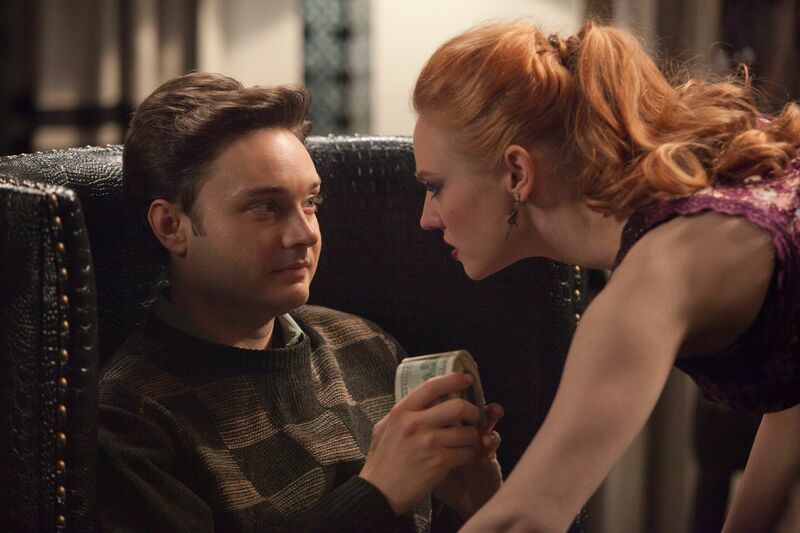 Rutina [Wesley] and Deb [Ann Woll] are brilliant. They’re all such unique characters that it’s like asking you, “What color do you like?” Maybe that’s a bad example. It’s like asking you, “What do you prefer, Pepsi or Coke?” They’re so different, and yet they’re the same kind of soda. They bring their own flavor to it. You love watching certain characters for certain things, and I think that’s a testament to their performances. You’re excited to watch any of these actors because they bring such a unique perspective to it, and that’s why you watch the show. That’s why it’s so popular. Otherwise, you’d only watch the show for one or two people. They all bring that sense of, “I love this guy! I love her!” They’re all fantastic! I know that sounds very boring and PC, but they really are. I’m very proud. 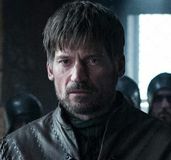 Is it nerve-wracking to come into a successful and established show in the fifth season, or is it exciting to know that you’ll definitely have an audience that’s turning in? MATTHEY: That’s a good question. You should always view any job as just as nerve-wracking or just as exciting as any other. At the same time, you can’t get carried away by whether it’s a huge hit or if it’s a small short film. An actor’s job is to do their job. 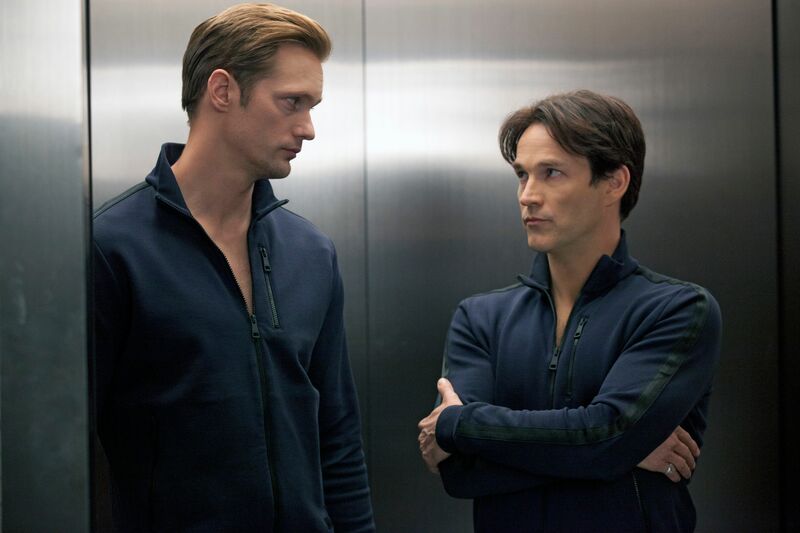 It’s great if it’s successful and it’s fantastic when it’s a huge hit, like True Blood is, but at the same time, you’re there to do a job and make sure you do it well. I didn’t get carried away by the excitement of being on such a top show because I really wanted to do my job. After I’ve done a good job, then I can get excited. Obviously, it would be very easy to get carried away, but I wanted to own that excitement. Until I did my work and I did my utmost best, I feel like I don’t have a right to feel excited. That sounds really weird, but these people on the show have already worked their guts out to be in such an amazing show and it’s a testament to them. I felt like I had to prove myself, but I feel that you have to do that anyway, as an actor. You’re there to do a job, and that’s your primary concern. 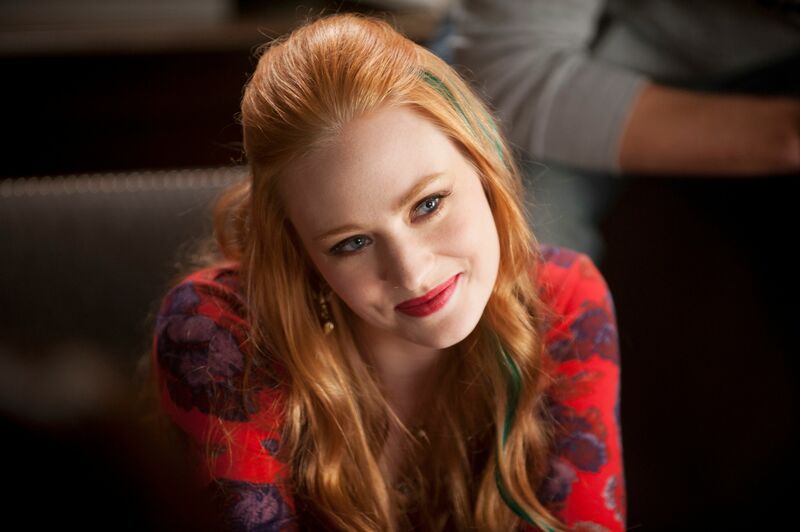 Do you think you’re prepared for the True Blood fans? MATTHEY: I think it’s something that you have to accept. An actor has to realize that that’s part of your job. You provide a lot of people with entertainment, and that’s what will happen. I don’t think you should ever feel like you’re used to anything of that nature because you’re no different from anyone else, but at the same time, it’s such a huge show with such a massive and fantastically loyal fanbase. At the premiere, that was my first taste of it, and they were so lovely. It’s very nice that everyone is so nice. If they were horrible, it would be harder. But, everyone was so lovely and they were so nice. It’s just like meeting lots of people who love the show ‘cause you’re also a fan. I am a fan of the show, so it’s great to meet other people that like the same thing as you. That’s how I view it. That’s how I feel about that side of things. It’s just another person that has the same taste as you in TV. It just so happens that I’m on the TV show, but I feel that excitement, too. How do you view Claude? Is he an obviously good guy or bad guy, or is he in more of a grey area? MATTHEY: I have to be careful not to give too much away, but I think he’s loyal and protective. He is a mentor figure. The thing is, you never know what’s around the corner, with what happens on this show. You can read all the books and be like, “Okay, that’s what’s going to happen,” and then you get the script and you’re like, “Whoa, that’s different!” They’re very different. If I were to think any certain one way, I could be surprised with the next episode. But, that’s really down to the direction they take it in. There is a focus on fairies, otherwise it would be very strange. In what respect and how Alan Ball and the team portray that, I can’t tell you. 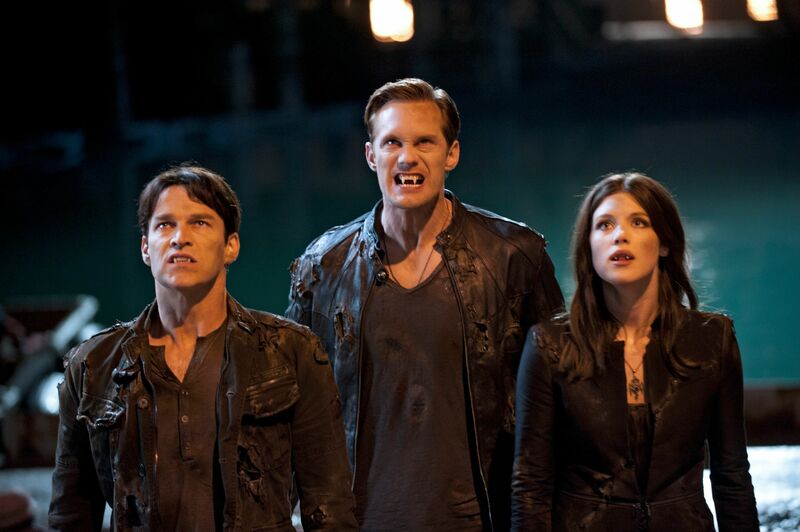 When you found out what your introduction to the show would be, with having Jessica (Deborah Ann Woll) chasing after you, what was your reaction? MATTHEY: It was interesting! It had a sense of humor, and I think that’s very important. 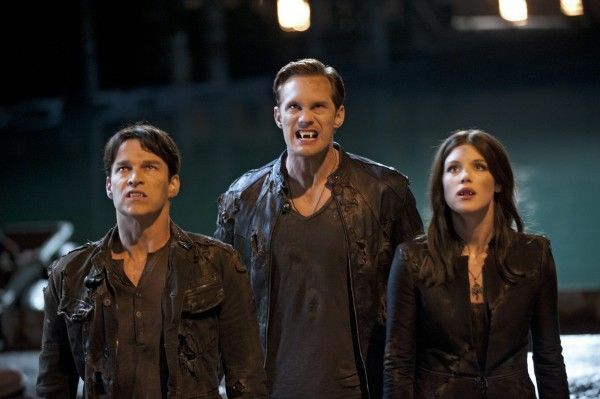 I think another key to True Blood’s success is that it remains dramatic, but it has such a great sense of humor. It also knows when to play those dramatic moments and revel in the drama, but the writers are all so good at what they do, it has a sense of humor about it. I was really, really happy with the way the introduced me, actually. It was a lot of fun! What do you look for, in a project? Is it about the story and the character, or do you want to know who you’ll be working with? MATTHEY: Well, I try to still remain like I was at acting school. You look for the roles where, when you read it, you’re just like, “Yes, I know that. I know that feeling. I know what it means to feel like that. I know this person.” When you have a soulful connection to a part, that’s a dream come true. 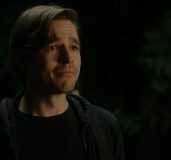 In my ideal world, it would be a soulful connection to the role because you’ve shared a lot of the same experiences as the character and you just feel so right in it. That’s the first thing I look for. And then, it’s the writing and how it’s written, and the whole story and how I respond to that. And then, it’s only after that, that you can be so aware of who is in it and who’s directing it. That’s very important, as well. Having a good director, which I’ve experienced on the show, is very important. It’s crucial. When you do good work with a certain director, you want to work with them again, and hopefully vice versa. There’s a lot of facets by which I’ll be interested or not interested in a role. What originally interested you in acting? MATTHEY: There was a certain inspiration where I was at the theater in London at the West End and it was a performance of Shadowlands, about C.S. Lewis, the writer of The Lion, The Witch & The Wardrobe. I think Anthony Hopkins did a film version of it, but I have a feeling it isn’t as moving as what I saw. I was just blown away. It was a live performance by an actor called Charles Dance, who probably not many people would know, but he just blew me away with how he played C.S. Lewis and the struggles he went through. It just moved me. I was probably about 12, and I just thought, “Oh, my god, I have to do this!” If anything, it was a very egotistical thing because I wanted to move people. I wanted to tell a story and move people. I don’t know if you’ve ever experienced this in the theater, but there’s this feeling, when you stop believing it’s a show and you’re there and this is happening. These actors are not acting, they’re experiencing and it’s actually happening. It was the most powerful thing, along with Mark Rylance’s performance in Jerusalem, but that was a few years ago. It’s very rare that you see that sort of acting on stage, and it was truly incredible. That moved me to an extent where it became my passion. I started reading insanely complex books on Stanislavski and Checkhov. It made no sense to me, so I pretended that I knew what they were talking about. It was only when I went to acting school that I was like, “You are absolutely such a pigheaded freak show that you thought you, at the age of 12 or 13, could have a better understanding of Stanislavski. Why did you think that you didn’t need to go to school?” It was quite funny. But, I was certainly inspired. I really was. 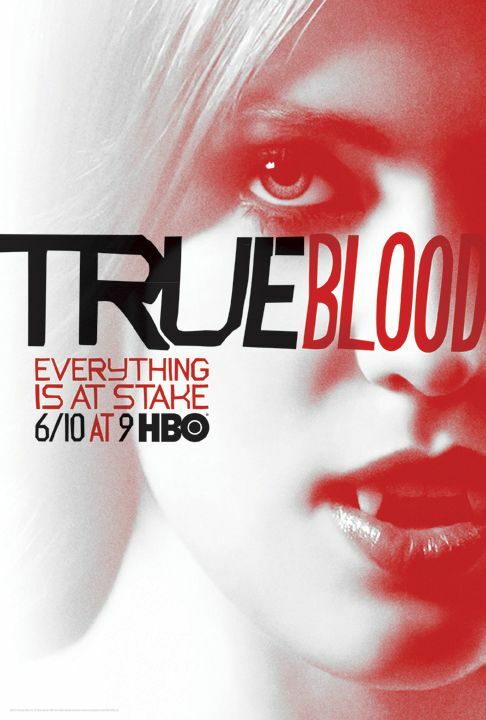 True Blood airs on Sunday nights on HBO.